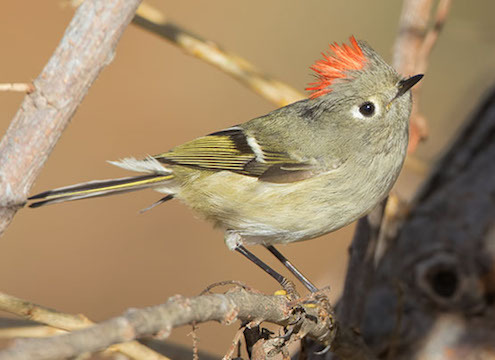 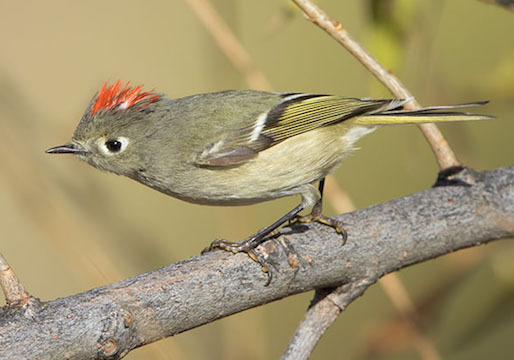 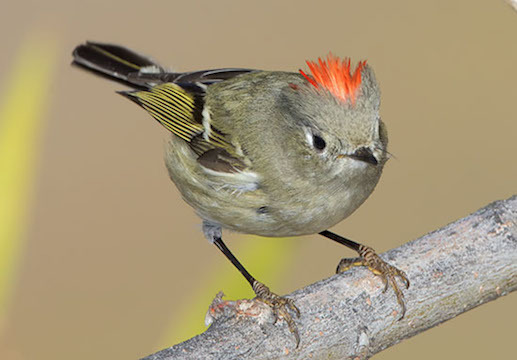 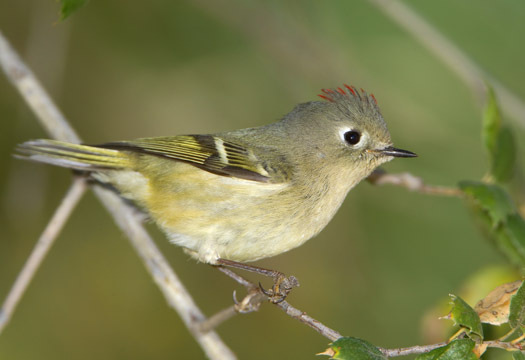 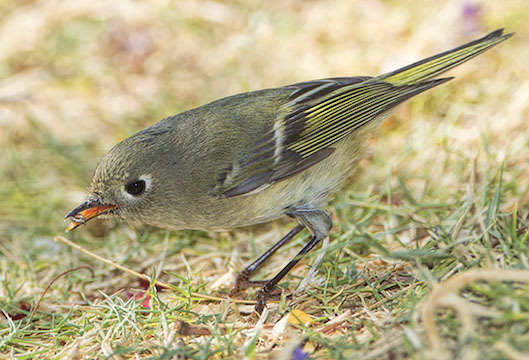 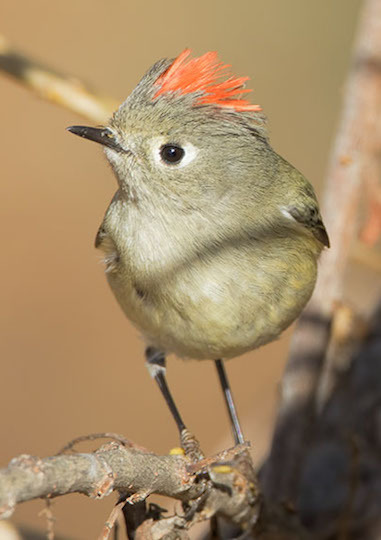 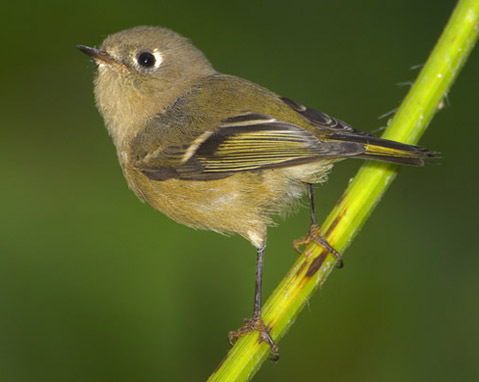 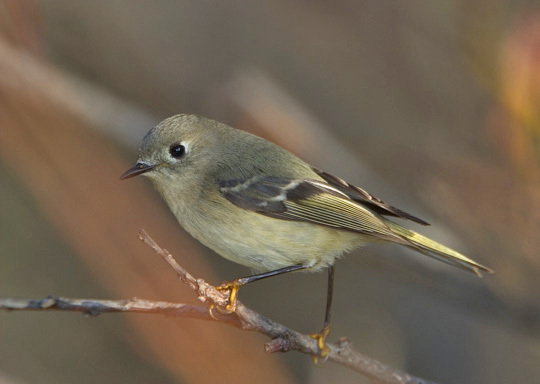 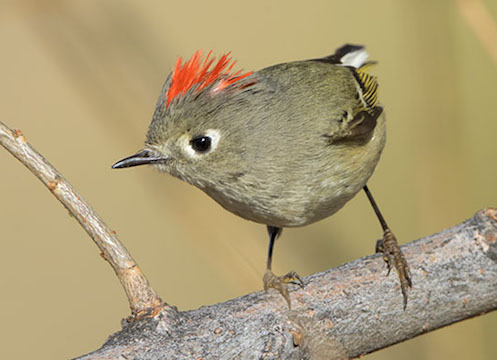 Ruby-crowned kinglets are a constant frustration to bird photographers. 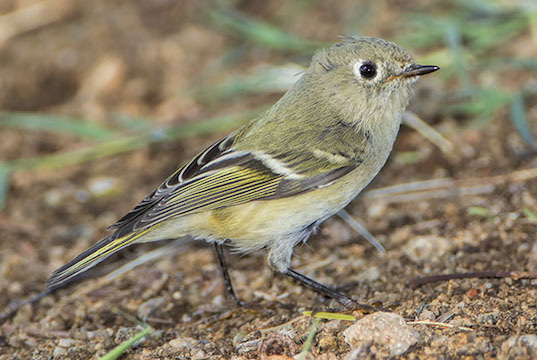 They are one of the few species that are fearless enough to come very close, but they are so active and fast-moving that it's nearly impossible to get one framed and in focus before it flits off. 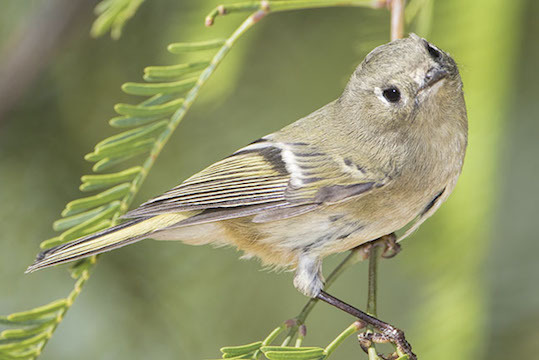 I got lucky with these birds. 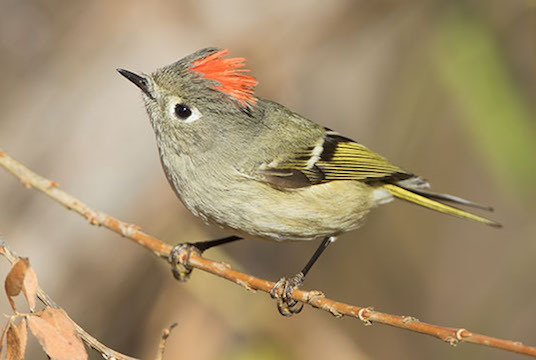 One was chasing kelp flies on the shore of a small lagoon at the mouth of the Big Sur River, at Andrew Molera State Park on the California coast, another was feeding in low shrubs near Seward, Alaska, a third was foraging in an oak tree near Murrieta, California, and the other (with the rarely-visible red crown erect) was near Riverside, California.